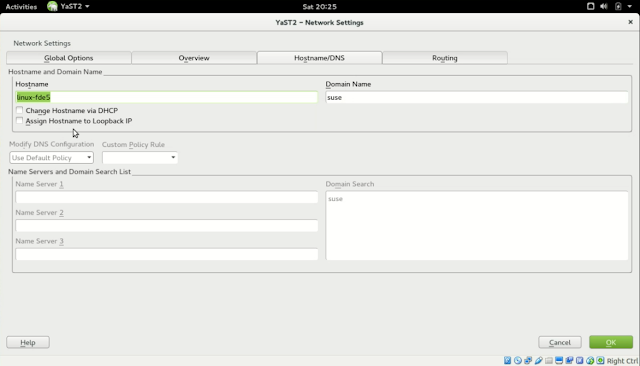 linux Open Suse How to change Open Suse Host and Domain Name . 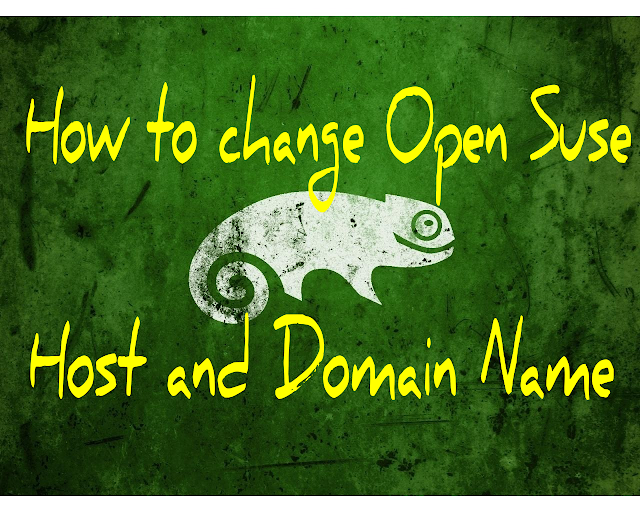 How to change Open Suse Host and Domain Name . In this tutorial , I'm going to share on How to change Open Suse Host and Domain Name. Currently I'm running Open Suse 42.1 . 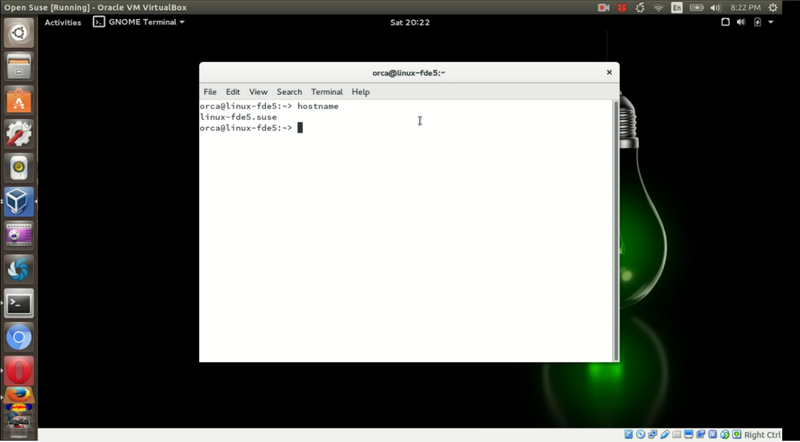 Check Open Suse host and domain name in the Terminal . 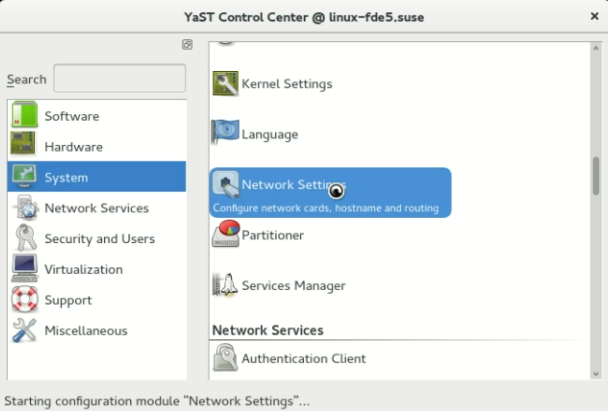 Edit the Network Settings using YAST . Check the terminal for the changes. 1. Check the default Open Suse host and domain name in the Terminal . 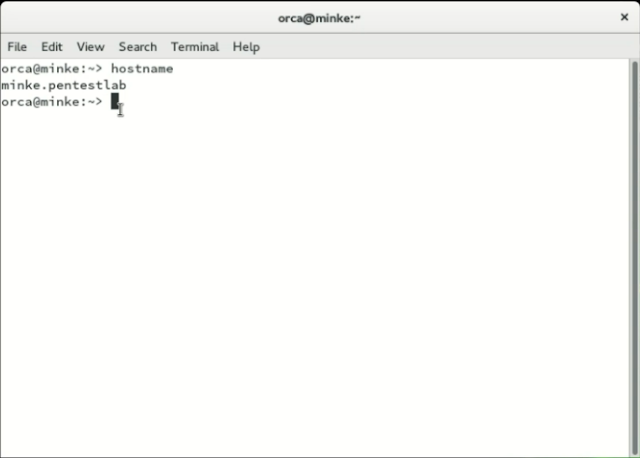 Type in the terminal "hostname" to check terminal hostname and domain . 2. 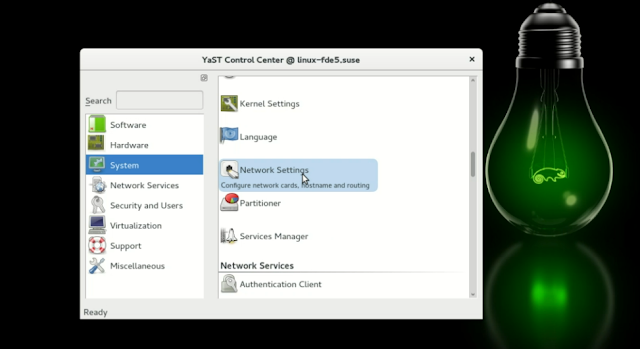 Edit Network Setting using YAST . 2.2) Click "System>Network Settings" . Proceed by clicking "OK" . 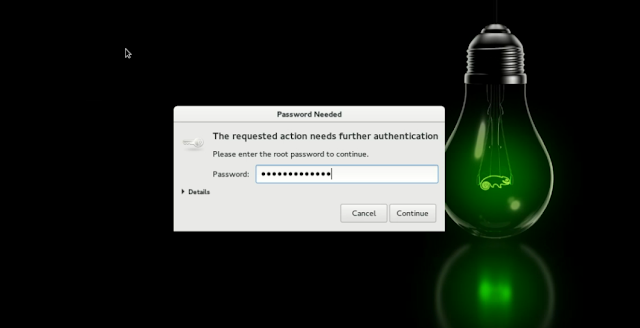 2.4) Change the host and domain name in the respective field . In this example I change my Hostname to "minke" and Domain name to "pentestlab ". Click "OK" for the setting to take affect . 3. Check the Terminal for the changes. Read Previous : How to install Open Suse in Ubuntu Virtualbox . TheGeekySpace is a site that dedicates it's mission to give the best How to's in the world of Open Source,Networking,Linux,tools and any thing related to technologies. This idea came about from it's founder during his years of working in the fields of Telecommunication/IT .TheGeekySpace mission is to help bridging the gaps between knowledge and practical by giving easy to follow tips and tricks.We hope visitors will find this site helpful in the pursue of knowledge and having fun at the same time.Don't forget to Subscribe to us! Cheers!! How to set and run internal DHCP Virtual Network on CentOS,Kali Linux and, Windows in VirtualBox. Practical example . 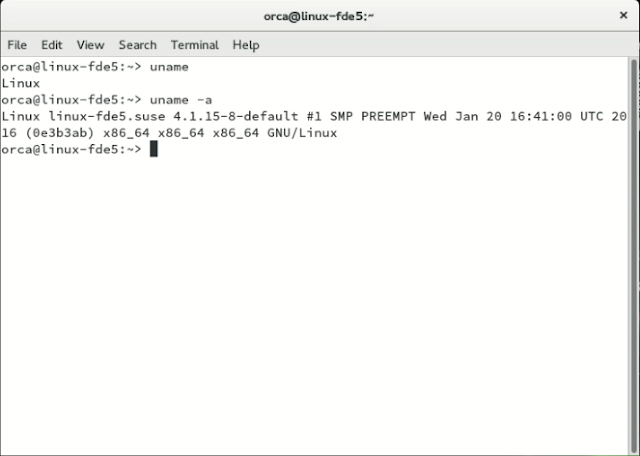 How to set and run NAT Virtual Network on CentOS,Kali Linux, Windows in VirtualBox. Practical example . How to set and run Bridge Virtual Network on CentOS,Kali Linux, Windows in VirtualBox. Practical example . Subscribe To This Site .